Dr. Nash is a Central Ohio native, receiving a Bachelor of Arts from Kenyon College in 1986 and a doctorate in Veterinary Medicine from The Ohio State University in 1990. 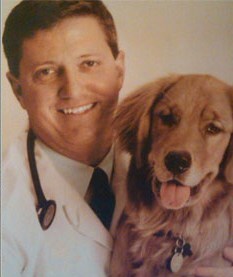 He has 29+ years of clinical experience and a lifetime of veterinary exposure growing up the son of a veterinarian. Dr. Nash holds veterinary licenses in several states and has practiced in Manassas, VA; Aurora and Mentor, OH; Rockford, IL; Denver, CO; Portland, OR; and several hospitals in Columbus, OH, including a term at MEDVET as an emergency clinician. He has a particular interest in emergency medicine having spent much of his career in that area and in multiple states. He resides in the greater Columbus area with his wife, two children, rescue dog, and 2 fancy goldfish. He is an avid backpacker and enjoys the outdoors, plus anything Buckeye!